The only way change can happen and the only way that the rights of parents, teachers, and children can be protected is by changing Mayoral Control so that there is once again an elected school board, elected by ALL voters in the New York City School District. And, we must be able to elect the school chancellor, too, and have term limits for everyone. Wasn't there a tea party to establish a vote for each person in order to have fair taxation? 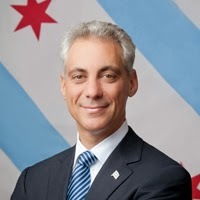 Despite the tricks played by Mayor Rahm Emanuel and his allies (especially Alderman Joe Moore) to block a major referendum on the elected school board in 2011, in 2015 the voting on the elected school board in 37 of the city's 50 wards was decisive: Chicago citizens have voted by 90 percent in favor of an elected school board. When the February meeting of the Chicago Board of Education begins at 10:30 a.m. on February 25, it will be interesting to see how the seven members of the city's school board, all appointed by Rahm Emanuel, treat the citizens and press. Under Board President David Vitale, the members of the school board have been smug, arrogant, and generally hostile to any citizen or member of the press who expresses criticism of the appointed school board system. Members of the Chicago Board of Education at the January 28, 2015 Board meeting. Left to right, Henry Bienen, Mahalia Hines, Jesse Ruiz, David Vitale, Andrea Zopp, and Carlos Azcoitia. Not shown because of the difficult media angles at Board meetings is the corrupt Board member Deborah Quazzo (see photo below). Substance photo by George N. Schmidt.Chicago has never had an elected school board. The current system, under which the mayor appoints a seven-member school board (originally called the "School Reform Board of Trustees" for two years), began in 1995, with the passage of the Amendatory Act by the Illinois General Assembly. The Amendatory Act also stripped the Chicago Teachers Union and the Cook County College Teachers Union of most bargaining rights and made strike illegal for the first two years of the law. Despite the overwhelming vote in support of an elected school board on February 25, 2015, the reality of the appointed school board will continue until the Illinois General Assembly votes to change the law and create, for the first time in history, an elected school board in Chicago. The Illinois General Assembly is currently in session. The February 25, 2015 vote took place in 37 of the city's 50 wards. Despite attempts by Rahm Emanuel's allies to block the referendum, only 13 wards did not vote in the referendum. Despite the numerous media exposes showing how Chicago Board of Education member Deborah Quazzo (pictured above) was profiting from her position on the school board, Quazzo sat stolidly at the January 28, 2015 Board meeting (above). At the meeting's end, Quazzo continued her silence, while five of her fellow Board members spoke about how the media and public were picking on Quazzo -- not mentioning Quazzo's corruption. Only Board member Carlos Azcoitia kept his mouth shut as Henry Bienen, Mahalia Hines, Jesse Ruiz, David Vitale and Andrea Zopp praised Quazzo as being a nice person who really cared about the children, etc., etc. etc. All of the current members of the school board were appointed by Mayor Rahm Emanuel. Quazzo, a multi millionaire investor, was appointed in March 2014 to replace Board member billionaire Penny Pritzker, who had been appointed U.S. Secretary of Commerce by President Barack Obama. Substance photo by George N. Schmidt.Ward by Ward results reported by DNA Info Chicago early on February 25 follow below. CHICAGO — Chicago voters overwhelmingly voted in favor of an elected school board Tuesday — even after what some described as "political shenanigans" kept the question off the ballot in parts of the city. In nearly every ward that had the opportunity to vote on the topic, nearly 90 percent of voters said they were in favor of an elected school board. Vote breakdowns are below. Currently, the school board is appointed by the mayor. “I’m tired of going to school board meetings where people who don’t have skin in the game are making decisions,” said Jitu Brown of the Kenwood Oakland Community Organization, at a rally for an elected school board last month. Mayor Rahm Emanuel, who is heading to a runoff with Jesus "Chuy" Garcia, has dismissed the notion of an elected school board, saying, "I don't believe what we need right now is more politics in schools." Garcia, however, believes an "elected school board is a constitutional right." Ald. John Arena (45th) had pushed for a citywide referendum on an elected school board, but in October the council's Rules Committee approved three other questions to fill up the ballot: a proposal by 49th Ward Ald. Joe Moore on mandatory paid sick leave, another on public campaign financing backed by the grassroots group Common Cause and another on whether city employees should be forced to seek counseling if convicted of domestic abuse, sponsored by Ald. Deborah Graham (29th). Ald. Bob Fioretti (2nd) charged that the move was illegal, but those referenda held their spots. A collection of grassroots groups filed 50,000 signatures to place an advisory referendum on the ballot for an elected school board in 37 of the city's 50 wards. The Chicago Teachers Union joined in the effort. Teachers at popular school ask parents for help: This may sound ‘absurd’ but it’s true. PS 321 in Brooklyn’s Park Slope area is a popular school. Parents and kids like going there because of the dedication of its principal, Elizabeth Phillips, and its approximately 100 teachers. Now, in an unusual move, those teachers are publicly turning to parents for help against school reform proposals by New York Gov. Andrew Cuomo that they say will harm the school. The letter clearly explains why some of the proposals that Cuomo has advanced to change teacher evaluation will negatively impact schools around the state. These reforms are not unique to New York, so the letter speaks to what is happening in schools around the country. The reference to Liz in the letter is to the principal, Elizabeth Phillips. In 2012, I published a letter from Phillips to then New York State Education Commissioner John King (who is now a senior advisor to Education Secretary Arne Duncan) saying that there were many “flawed questions” on the state’s mandatory English Language Arts standardized test given to students for “accountability” purposes. The letter was sent after King had invalidated one set of now infamous questions on a the eighth-grade test about a talking pineapple. Here is the new letter from PS 321 teachers to parents, on the school’s website, which I am republishing with permission. It is with heavy hearts that we, the teachers at 321, reach out to you to ask for your help. Governor Cuomo has proposed major changes to teacher evaluations in New York State. We want to let you know, from a teacher’s perspective, the changes this law could bring to PS 321 – and to our profession – if it passes. 50% of a teacher’s rating would be based on state test scores. (Currently it is 20%). 35% of a teacher’s rating would be based on the findings of an outside “independent observer” who will conduct a one time visit to the classroom. (This has never been done before. Currently our principal and assistant principals’ observations count for 60%). 15% of a teacher’s rating would be based on observations by the principal or assistant principals. The very people who know our work best would have the least input into our evaluation. 50% + 35% = 85% of our evaluations would be removed from the hands of our community and placed in the hands of the state. And then, using these numbers, any teacher who is rated ineffective two years in a row can be fired. Liz might have no say in this. So what might that do to PS 321? Realistically, many of us could be fired. Every year. And many more of us would be pushed away from the profession we love. Here’s something parents need to understand. Even though, when our students take the standardized tests, most of them do just fine… many PS 321 teachers do not. Teachers’ ratings are not based on their students’ raw scores for the year, but whether their students improved from one year to the next. If a student with a ‘3’ gets one fewer question correct in 4th grade than she did in 3rd, that student might not have demonstrated the “added value” their teacher is expected to have instilled. Even though the student has mastered that grade’s content. Even though it’s just one question. And that teacher might, therefore, be rated in the bottom percentile of teachers. That may sound patently absurd. However, that has already happened here. If Governor Cuomo’s evaluation proposals come to pass, it might start to happen more and more. And if we are rated ineffective as a result two years in a row, we might be fired. That is why so many schools in NYC spend so much time prepping for the tests. One or two wrong answers can make or break a teacher’s rating. Faced with these changes, we’ve already been hearing from so many of our colleagues from across the city and state who will be forced to do more test prep. Even when they know that the tests do not give an accurate picture of student learning, or of the effectiveness of teachers. Even though they know teaching to the test is bad teaching. Faced with the reality of the loss of a paycheck – the loss of the career they are building, have built, or want to build – these proposals will push them to teach in ways they know to be counterproductive. That breaks our hearts. But the truth is, faced with the same reality, there are those of us here who would be feeling the very same pressure. Not because we’d want to. We would try to resist. But it is inevitable that if the governor’s proposals go through, all schools will narrow their curriculum to some extent. And that’s scary. And it breaks our hearts even more. Because we know what we have here. We love what we have— in you, in our students, in all that the PS 321 community represents. The joy that is present— every day, in our school. The value that is placed on intellectual curiosity, on creativity, on the arts. The love of learning that is visible when you enter our building, when you go into classrooms, and when you talk to students and teachers. The values present in Governor Cuomo’s proposals are antithetical to our own. And they place them at risk. The numbers are clear: 50% of our value will be six days of tests. 35% of our value will be one day with an independent observer. And 15% of our value will be in evaluation by Liz and the assistant principals, those who know us best as educators. Our joy, our love of learning, our desire to help students become deep thinkers and problem solvers, our community, our commitment to constantly improving our practice… those are ours. PS 321 Families: don’t let them take our values away. We need your help. And we need it now. The education law is folded into the state budget. It goes up for a vote before April 1st. 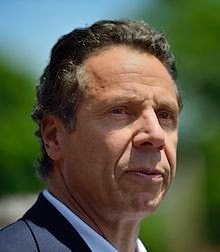 Email Governor Cuomo right now at gov.cuomo@chamber.state.ny.us. Visit http://www.nyteacherletter.org/ and sign the letter to let your legislator know you disapprove of the law. Contact your assemblymember. Go to http://assembly.state.ny.us/mem/ to find their contact information. Don’t stop there. Go to their offices and demand attention. Post this issue on Facebook and tell your friends. Use social media to spread the word. Go to Albany. Make whatever noise you can. We need you to come to the PTA meeting on Wednesday, 2/25, at 8am to learn more – and hear more from us. And sign up today at ps321.org to receive information and updates from the Testing Task Force about what you can do to help support us. What we have together is rare, especially today, when so many schools have succumbed to the pressures of testing. We must not take our school’s joyful community for granted. All that we have– all that we do together–is far too important and far too valuable to be taken away. Thank you, as always, for your energy, your support, and your inspiring, creative children. Governor Cuomo has proposed major changes to teacher evaluations in New York State. We want to let you know, from a teacher's perspective, the changes this law could bring to public schools -- and to our profession -- if it passes. 50% of a teacher's rating will be based on state test scores. (Currently it is 20%). 35% of a teacher's rating will be based on the findings of an outside "independent observer" who will conduct a one time visit to the classroom. (This has never been done before. Currently our principal's and assistant principal's observations count for 60%). 15% of a teacher's rating will be based on observations by the principal or assistant principal. The very people who know our work best will have the least input into our evaluation. 50% + 35% = 85% of our evaluations will be removed from the hands of our community and placed in the hands of the state. And then, using these numbers, any teacher who is rated ineffective two years in a row can be fired. Principals may have no say in this. So what might this mean for our schools? Realistically, many of us could be fired. And many more of us may be pushed away from the profession we love. Here's something that's not being made clear to the public. Even in schools where children do well on the standardized tests, many teachers do not. Teachers' ratings are not based on their students' raw scores for the year, but whether their students improved from one year to the next. If a student with a '3' gets one fewer question correct in 4th grade than she did in 3rd, that student might not have demonstrated the "added value" their teacher is expected to have instilled. Even though the student has mastered that grade's content. Even though it's just one question. That is why so many schools in NYC spend so much time prepping for the tests. One or two wrong answers can make or break a teacher's rating. It has already happened. If Governor Cuomo's evaluation proposals come to pass, it may start to happen more and more. And if we are rated ineffective as a result of Cuomo's proposal two years in a row, we may be fired. That is what forces teachers to do test prep. Even though we don't believe in the standardized tests. Even though we know that the tests do not give an accurate picture of student learning, or of the effectiveness of teachers. Even though we know that teaching to the test is bad teaching. Faced with the reality of loss of a paycheck (and the loss of the careerswe are building, have built, or want to build), these proposals may push us to teach in ways we know to be counterproductive. The schools that we all love with active, engaged learners, inquiry, questioning, creativity, and joy in learning may cease to exist. Time spent on test prep will mean less time for real learning and real curriculum study. There will be no time for creating suspension bridges, experimenting with water wheels, or closely observing pigeons in their natural habitat. No time for raising silkworms and weaving the silk into belts, recreating a life-size wigwam in Prospect Park, or figuring out how the Maya moved water in aqueducts. No time for exploring real world problems, such as using clean energy to create electricity, designing ways to mitigate storm water runoff in our school yard, or composting cafeteria waste and using it to fertilize the school garden. Through projects like these, we engage all types of learners. We teach children to question, problem solve, and work collaboratively. Test prep does not teach this. And what about the social and emotional toll these changes will inflict on children? As teachers, we look at the whole child. We know how they exist and operate within a community, and we strive to meet their emotional needs. We want our students to become citizens of the world. Narrowing our focus to improve performance on standardized tests means losing sight of the whole child. We know the emotional toll this takes on children. The genuine joy of learning disappears and is replaced with headaches, stomachaches, and school avoidance. None of us want this for our students. We didn't go into teaching to spend hours, weeks, months, on mind-numbing test prep. We hope this is not the type of education you want for your children. So, we need your help. And we need it now. The education law is folded into the state budget. It goes up for a vote on April 1st. 1. You can send letters of disapproval to your state senator, yourassemblyman, and the Governor, or send emails, or call. 2. You can also click here and sign the letter to let your legislator know you disapprove of the law. 3. We need you to talk to your friends and your family members and post the information on Facebook. 4. In short, we need you to get the information out any way you can. If you want public education to move forward, we need you to stand up and let your voice be heard.